In this week’s news wrap China has lifted the ban and legalised tiger bone and rhino horn for medical purposes; a soldier in Botswana was tragically trampled by elephants; thousands of radiated tortoises were seized from traffickers in Madagascar; five men linked to rhino poaching were arrested in the Northern Cape in South Africa; a South African teen won the Young Wildlife Photographer of the Year 2018; and the South African rhino film, STROOP scooped 10 international awards. China unveiled new rules on Monday that would allow the use of rhino horn and tiger parts for some medical and cultural purposes, watering down a decades-old ban in a move conservation group WWF said could have “devastating consequences”. China’s State Council issued a notice replacing its 1993 ban on the trade of tiger bones and rhino horn. The new rules ban the sale, use, import and export of such products, but allow exceptions under “special circumstances”, such as medical and scientific research, educational use, and as part of “cultural exchanges”. Horns of rhinos or bones of tigers that were bred in captivity could be used “for medical research or clinical treatment of critical illnesses”, it said. Rhino horn and tiger products classified as “antiques” could be used in “cultural exchanges” with the approval of culture authorities, although they still may not be sold on the market or exchanged via the internet. 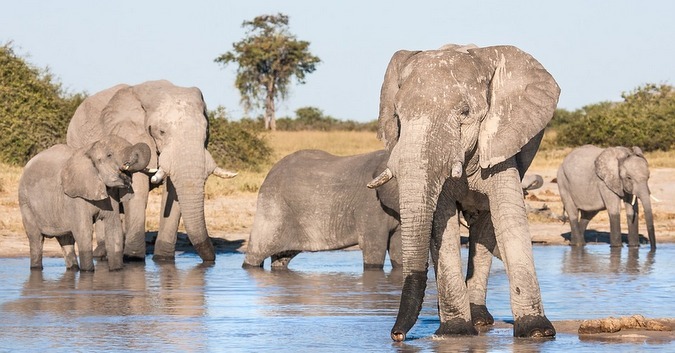 The Botswana Defense Force (BDF) has confirmed an incident in which a soldier was attacked and killed by a herd of elephants last Thursday morning. BDF is actively involved in anti-poaching efforts, and soldiers are the front line of the Botswana conservation strategy. Authorities in Madagascar confiscated 7,347 radiated tortoises (Astrochelys radiata) from wildlife traffickers on October 24, just months after a similar bust led to the seizure of nearly 10,000 tortoises of the same species in a nearby town. “There’s this buzz in our ears of this vacuuming sound coming from the country” as tortoises are removed from the wild to satisfy domestic and international demand for meat and the pet trade, said Jordan Gray, communications and outreach coordinator for the South Carolina-based Turtle Survival Alliance (TSA), in an interview with Mongabay. 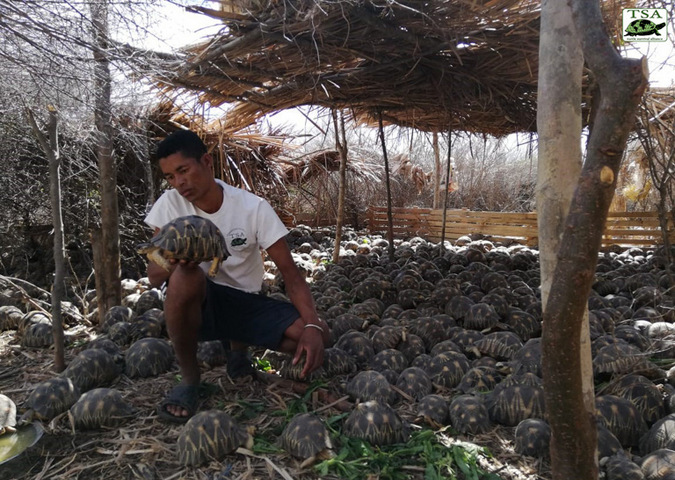 TSA’s lead veterinarian, Ny Aina Tiana Rakotoarisoa, and three of the organisation’s keepers have been working to care for the latest batch of tortoises near the town of Betioky in southwestern Madagascar. The tortoises from the April bust had been confined to an abandoned house without food or water and “living in their own filth” before they were rescued, Gray said. These animals are a bit healthier, he added, relaying information from Rakotoarisoa. The traffickers had been keeping the animals outside where they had access to shade and some food. Still, as of October 31, more than 200 of the tortoises had died, and some of the survivors were dehydrated and underweight. “Members conducted waylay duties‚ worked around the clock‚ over the weekend to secure the farm which the poachers had intended to execute criminal activities on‚” the police said in a statement. 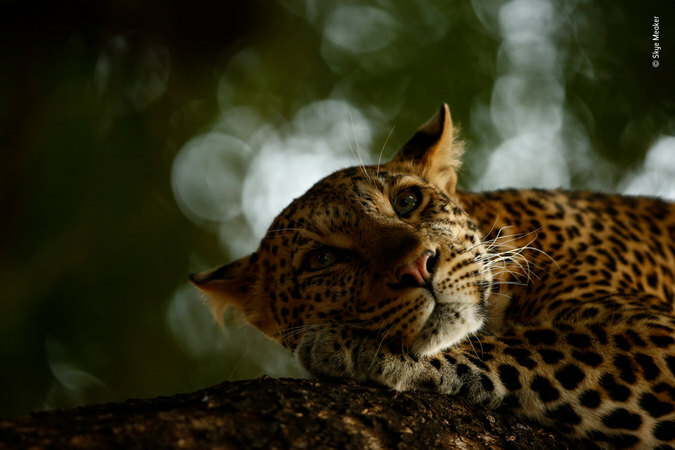 Sixteen-year-old South African Skye Meaker has been named Young Wildlife Photographer of the Year 2018 with his charming portrait of a leopard waking from sleep in Mashatu Game Reserve, Botswana. This year more than 45,000 entrants from more than 94 countries entered this world-renowned prestigious photographic competition. Skye won his 15 – 17 years age category which put him in line to win the entire Youth Title which he did at the gala dinner held at the Natural History Museum in London earlier this month. Skye is a Grade 10 pupil at Clifton College in Durban, South Africa. He started taking photos when he was around 7-years-old with a small hand-held point and shoot camera. He participates in all aspects of school life and loves his sport, namely water polo and tennis. He is a qualified junior black belt in Karate and an accomplished high jumper. He is also a member of the school’s photographic club. 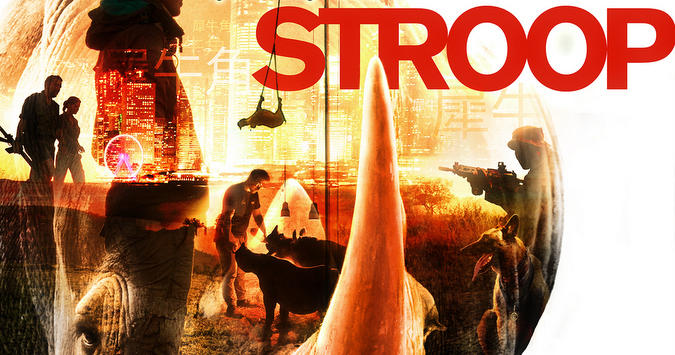 The award-winning South African documentary film STROOP – journey into the rhino horn war finished its international premiere run this past weekend with impressive wins in Europe. After leaving the US with a final win in Boston at the Mystic Film Festival for ‘Best International Documentary’, the film started its European premiere with a bang at the Wildlife Film Festival Rotterdam last week. Selected to open the festival, the film secured another first by selling out the opening night. 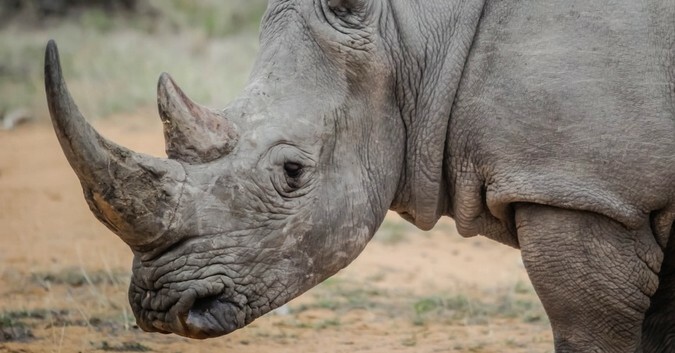 The choice of the South African film to open Europe’s prestigious wildlife film festival was a risky one, as the honour is usually given to a European film or an Oscar™ nominee but “the buzz around the rhino documentary made it a natural choice,” said festival director Raymond Laagerwald.